With built-in VESA compliant receptors for 75×75 and 100×100 monitors, the Local Vu easily mounts any VESA compliant monitor (compare Vu Monitor Mounts). For alternate configurations, optional Tether Tools VESA Vu Adapter Plates (200×200, 200×400, and Universal (sold separately)) can help achieve secure mounting of any VESA compliant monitor configuration. If you plan to mount an Apple iMac and/or a Cinema Display, a special adapter plate (available at Apple.com) is required. The Local Vu is easy to install with the included hardware and can stay on the monitor, allowing for an easy switch from stand to desk mounting as needed. 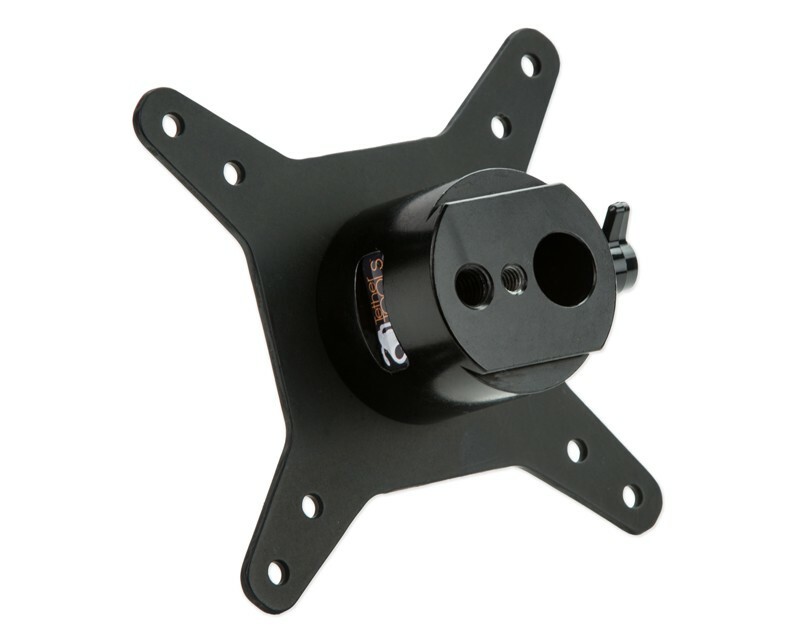 If mounting the Local Vu on a Junior 1-1/8″ (2.85cm) stand or a Baby 5/8″ (16mm) pin, we recommend using the Rock Solid Aero Elbow to angle and position the monitor in the desired location.